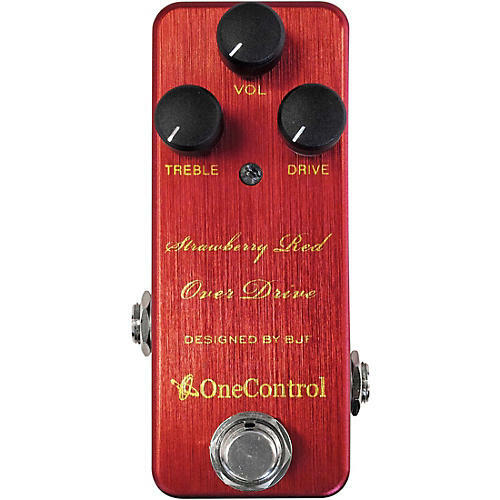 The One Control Strawberry Red overdrive is a versatile overdrive pedal that pairs with any amp or other effect pedal. Featuring a Low Cut trim pot (located next to the output) to dial in the low-end, Strawberry Red adds an essential level of flexibility to a truly classic overdrive effect. Whether you are looking for a clean, high-end guitar amp-like sound or an edgy, highly distorted sound, the Strawberry Red overdrive pedal does it all.